SkinDNA ™ is a revolutionary DNA laboratory test that examines 16 genetic markers (SNPs) in 5 categories associated with skin ageing. The SkinDNA ™ Genetic Test can help identify if you are a carrier of key genetic variations associated with accelerated collagen loss – even before the signs have become visible. Did you know? 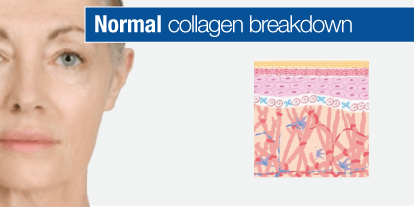 1 in 3 people have a genetic variation that predisposes their skin to accelerated collagen breakdown. If you’re like most people, then no one has ever told you about glycation. Affecting Collagen and Elastin fibers, glycation is now well recognised to be a leading cause of accelerated skin aging. Did you know? 1 in 2 people are genetically predisposed to reduced genetic protection against Glycation. In young skin, the Dermal Epidermal Junction has the appearance of a mountain range that helps anchor the Epidermis to the Dermis, forming a network of supportive Collagen fibers. As your skin ages these supportive fibers—which are responsible for the appearance and texture of your skin—lose their supportive network as a result of glycation. The sun’s UV rays are one of the most significant causes of premature skin aging. Your genes play an important role in determining how well your skin can naturally cope under the strains of the sun. Did you know? 2 in 5 people have a genetic variation that affects their skin’s UV defences. Genetic variations found in vital genes can lead to excessive inflammation – one of the most common themes in early onset ageing. Did you know? 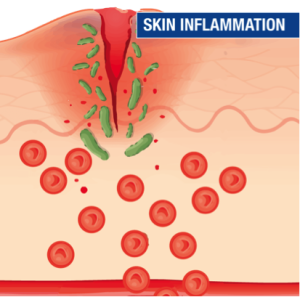 4 in 5 people have a genetic variation that can cause an over reactive inflammation response. Your DNA results are used to scientifically create a personalised guide provide you with a unique regime tailored specifically to you. This allows you to advance beyond the ‘one-size-fits-all’ suggestions – using the right skincare ingredients targeted to your own genetic blueprint. We will simply swab inside of your cheek, and post your DNA sample to our laboratory for processing. 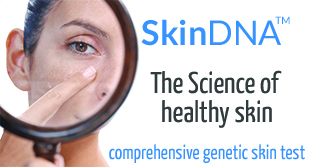 You will receive your personalized SkinDNAtm report and uncover what your DNA reveals about your skin. 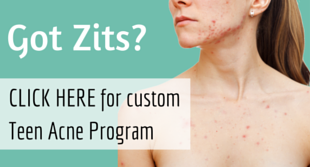 You will start using selected skin care ingredient based on your SkinDNAtm results. Simply click on the ‘Book Now’ and book your SkinDNAtm test.